Welcome to the Invesco QQQ Championship Volunteer Website! Thank you for your hard work and dedication in making the 2018 Invesco QQQ Championship the best playoff events on the PGA TOUR Champions. Our goal is to provide you, our valued team member, with a first-class experience making this tournament as successful as possible to impact our deserving charity partners. 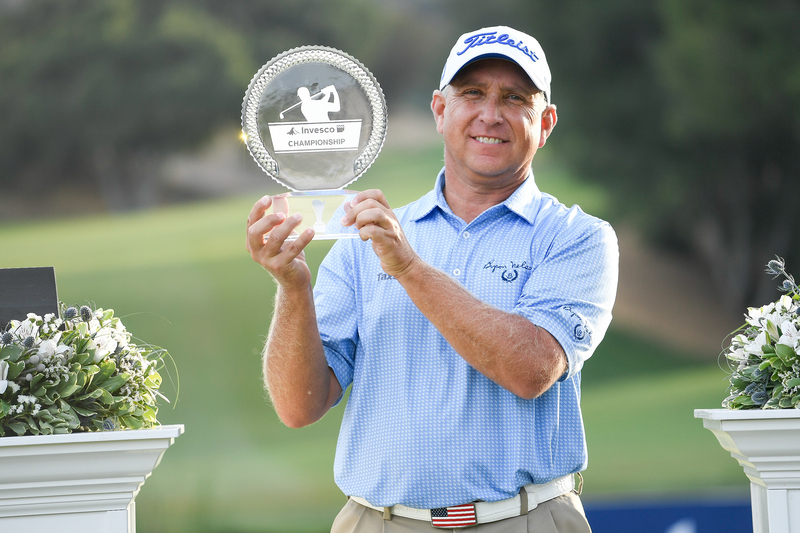 As part of your efforts and since the inception of the Invesco QQQ Championship, the event has donated nearly $650,000 to local Ventura County charities. Through the tournament’s partnership with our official charity, the Sherwood Cares Foundation, we directly make a difference with nearly 36 charitable organizations in the Conejo Valley and Ventura County region. It is with your help that we can expand the reach and impact of the Invesco QQQ Championship in our community. - Bonus Golf: We have received a number of comments regarding making the Bonus Golf day available to volunteers that work three (3) days or more. We tried out the idea post tournament in 2018 event and we had success. Out of the total of 500 volunteers who participated as volunteers at the tournament, we have offered golf to over half (250 or more). Complimentary golf is our way to say thank you to all of the volunteers that worked hard to support the event prior to and during tournament week. We want to continue to gift this opportunity to those that work multiple days and give back to the event. - Concessions: We have received a number of complaints that Levy Restaurants, our tournament concessionaire, continually ran out of food during tournament week and volunteers were unable to use their voucher to redeem hot items and breakfast items. We have spoken with Levy Restaurants and they have ensured that they will make a better effort to have hot items available to the volunteers throughout the day. Providing a basic menu that is consistent can help to ensure that volunteers are able to receive volunteer menu items in a timely manner. Thank you in advance for your time and we look forward to working with you at the 2019 Invesco QQQ Championship. VOLUNTEER REGISTRATION will open on March 1st, 2019. Please visit "Apply" section and then the On Line Application page to register for the 2019 Invesco QQQ Championship.